Then, one day, a handsome stranger ventures into the store. He claims to be a trapper come from away, and as Grace gets to know him, she becomes enamoured by his gentle smile and thoughtful ways. But after several weeks, she discovers that Rudi, her mysterious visitor, is not the lonely outsider he appears to be. He is someone else entirely—someone not to be trusted. When a shocking truth about her family forces Grace to question everything she has so strongly believed, she realizes that she and Rudi have more in common than she had thought. And if Grace is to have a chance at love, she must not only choose a side, but take a stand. This reading group guide for Come from Away includes an introduction, discussion questions, and ideas for enhancing your book club. The suggested questions are intended to help your reading group find new and interesting angles and topics for your discussion. We hope that these ideas will enrich your conversation and increase your enjoyment of the book. 1. In the mid-1930s, memories of the First World War and the devastating Halifax Explosion were not far from the hearts and minds of Nova Scotians like Danny and Au drey Baker. How does their past experience influence their reaction to each of their sons’ enlisting? 2. Grace worries that she’s not contributing enough to the war effort, but her father reassures her that everything she does helps in some way. What are some examples of how Grace contributes, indirectly or otherwise? 3. Grace describes herself as wearing a mask around those she loves. Do you think this pressure to be cheerful and happy all the time comes from others or from herself? 4. In the novel we learn that German U-boats were patrolling Canada’s eastern shores during the Second World War. Did you know this before reading Come from Away? Did it change your understanding of the lives of those on the home front? 5. If you were in Grace’s place, would you have turned Rudi in to the police? Would you have hidden him? Or would you have done something else entirely? 6. After Rudi’s U-boat is bombed, his sole focus is surviving, but when he is discovered to be German, he is immediately distrusted. How does Rudi try and prove himself to the Bakers? Do you think his actions are sincere, a necessity of survival, or both? Why or why not? 7. How do Danny’s and Audrey’s First World War experiences colour how they treat Rudi? 8. The author uses various flashbacks to tell us about Rudi’s past. What was the effect of this throughout the novel? Did it change your opinion of who Rudi was when you learned about his childhood growing up in prewar Germany? 9. Rudi’s parents caution him to question what he’s been taught under the Third Reich, which was a dangerous idea to express at the time. On the surface, his parents seemed like model Germans. Why do you think they took this risk? What does their decision tell you about the German people during the Second World War? 10. The news plays a central role in the novel, and there are many references to German and Canadian news stories, rumours, and even propaganda. Name a few and discuss how they affect each character differently, particularly Grace, Rudi, Linda, and Tommy. 11. Grace and Rudi are on the opposite sides of a war they never wanted to be a part of. How does meeting Rudi change Grace’s understanding of the other side and vice versa? Can you come up with some examples? 12. With Grace and Rudi, the author explores the line between doing one’s duty and doing what is right. In what ways do Grace and Rudi struggle with this choice? Do you think one is more important than the other? Why or why not? 13. In Tides of Honour, the author describes the effects of PTSD, or shell shock as it was called then, on Danny, and she picks up that thread again in Come from Away with Harry, Eugene, Norman, and even Rudi. How does each man’s PTSD affect him throughout the novel? 14. When Norman reveals that he deserted the Canadian army, the Bakers see Rudi’s predicament in a new light. Did Norman’s revelation have the same effect on you? Why or why not? 15. Both Norman and Rudi feel they need to take the identity of a dead man in order to survive. How does either scenario work out for them? What do you think this says about the nature of war? 16. 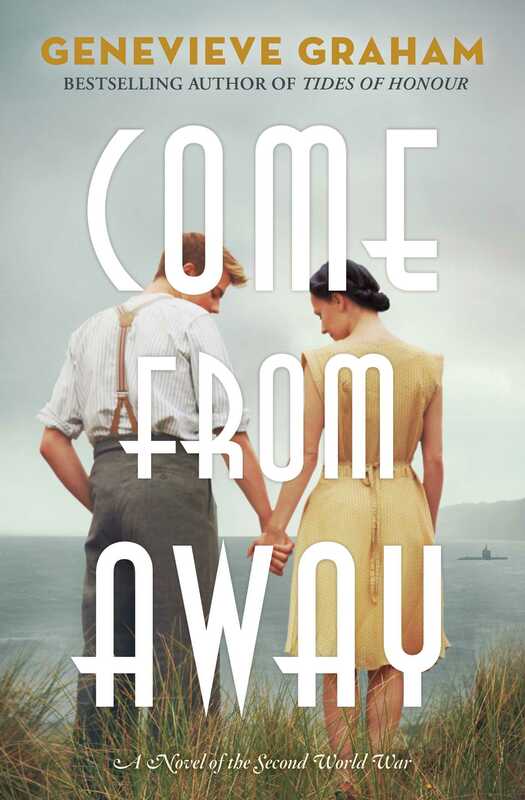 Before reading this novel, had you heard of the phrase “come from away”? Has the novel changed your under- standing of the saying? 1. Have you read Tides of Honour? If not, consider reading the novel as part of your book club and discover how Danny and Audrey Baker survived the First World War and the Halifax Explosion of 1917, and became the parents of Harry, Eugene, Norman, and Grace in Come from Away. 2. In the note to the reader, the author references the Battle of the Gulf of St. Lawrence, during which, between 1942 and 1944, German U-boats penetrated Canada’s coast and came within 300 kilometres of Quebec City. Veterans Affairs Canada has published a short book on the bat- tle that includes black-and-white photographs of ships as well as news headlines of the day. Read more about the battle here: http://www.veterans.gc.ca/public/pages/re membrance/history/second-world-war/battle-gulf-st-law rence/battlegulf_eng.pdf. 3. For a broader overview of the Allied fight against the wolf packs of German U-boats, go to the American Battle Monuments Commission website and use its free online interactive to learn about the Battle of the Atlantic: https://www.abmc.gov/sites/default/files/interactive/in teractive_files/BOTA_Web/index.html. Q: Come from Away is your third historical romance set in Canada and follows up with the Baker family from your bestselling book Tides of Honour. What inspired you to write about these characters again? A: To me, the hardest part of every book is finishing it and sending it away for the final stages of publishing. “The end” is like a farewell to my characters, and it feels like I’m saying goodbye to very close friends. The process of writing historical fiction like this is multilayered, but that doesn’t change the fact that I become very attached to my characters. And Danny, well, I truly love Danny. After publication, a lot of readers wrote asking what happened to the Bakers after Tides of Honour, and I started wondering that myself. What was it like in this neck of the woods when the next world war began? How did the people live, and how did they cope with everything that was going on? Of course, by then the Baker children would be old enough to be a part of that, and suddenly I needed to know all about the different branches of the military, how they worked, where they went, what they did . . .
At the same time, today’s world was dealing with a huge refugee crisis. Foreigners were arriving on our shores by the thousands, driven from their own countries by terrorism. But whom could we trust? Could some be an actual part of that threat, using the crowds as a shield? The Western world polarized over the refugee crisis, and friendly conversations became antagonistic. During the Second World War, Adolf Hitler and the Nazis were the epitome of terrorists, unanimously and deservedly hated around the world. What if one of Them was suddenly alone in the midst of all of Us? How would everyone react? It was an interesting idea, considering the varied personalities in the Baker family. How would Danny react? Would his past experience be tempered by his honourable character? How would Audrey and the rest of the family face this new challenge? I could hardly wait to get to know them again. Q: The premise of Come from Away centres on a local legend that U-boat sailors attended a Christmas dance in 1942. Where did you first hear this story, and what did you think? A: When I was first doing research for Tides of Honour, I drove up to visit the always welcoming volunteer ladies at our Eastern Shore Archives, about twenty minutes from my house. Actually, it took a little longer that day, I recall, because it was about minus twenty-seven degrees and the road was covered in crunchy snow intent on grabbing my car tires. Their little building is in Memory Lane, our area’s historical village, which happens to specialize in the 1940s. So when I started to plan a book set in the early forties, I knew that’s where I would have to start. Since they’d been so helpful the first time, I asked the ladies what they remembered hearing about the Eastern Shore during the Second World War, and as usual they were full of stories from friends and relatives over the years. When the subject of U-boats came up, I was intrigued and asked to hear more. Then one of the ladies asked, “Who remembers the story about the dance?” and everyone did. Someone’s aunt had been at that dance and seen the German boys there. Someone heard from their father that they were there. “What happened after that dance?” I asked, but no one knew. No one knew who they were, and no one around here ever saw those boys again. At the time, I knew nothing about U-boats, but to me the whole idea of a German U-boat surfacing in one of our harbours sounded fantastical. To imagine a German commander permitting any of his men off the boat was practically impossible. Then for those men to happen upon a local dance? But everywhere and everyone I asked confirmed the story. Sounds crazy, but it happened! Q: All your novels are heavily researched. How do you normally start that process, and where do you find resources? Have particular times been more challenging than others? A: When I research I submerge myself in non-fiction. As tempting as it might be, I never read historical fiction when I’m writing historical fiction. I never want to be swayed or misled by someone else’s interpretation of the time, and I don’t want their voice in my work. So I read only non-fiction, which can be difficult for me because often I find that kind of reading to be a little dry. But it’s what I need, so I start at the library; my friends over there are always the first to know what the next book will be about. I’m actually not very good at reading entire history books, but once I understand the major historical framework I’ve become adept at finding the facts and little known details that bring it back to life. I also do a ton of research work on- line, and I enjoy that most of the time. My favourite thing about that kind of research is falling down the rabbit hole, taking a little zig instead of a zag and ending up at a whole new aha! moment. Online I also come across experts, occasionally re-enactors, who are passionate about details and demand that everything is recorded exactly right. And that is perfect for me. The periods are quite different in both research and storyline. When I first started writing, my books were based in the 1700s, and I was happy that Promises to Keep went back to those roots. Initially I’d thought I would keep writing in that era. I love the gallantry, the adventure, the romance of those dark, difficult years. I love researching it, too. But when Tides of Honour came along, it was as if my brain clicked into a different gear. I feel a closer connection to the early twentieth century, and research is very different. We have newspapers and photographs, not just painted likenesses. We have stories from ancestors. And now that my stories are based in Canada, I can visit those places and see exactly what it is I need to write. And on rare occasions, I can touch them . . . like while I was working on Come from Away I was invited on board the (docked) HMCS Windsor, one of the Royal Canadian Navy’s submarines! I will admit that I remember very little about the instruments and the tour I was given, but I left with a strong understanding of what it would be like living inside those things, and with a pretty good idea of how that kind of life might affect a man’s mind after a few months under the sea. Terrifying! Q: What was the most surprising thing you discovered during your research? Did anything seem more fiction than fact? A: The premise of the story seemed more fiction than fact, but the story about the German U-boat sailors at our local dance was true. And when I told people what I was writing about, I was surprised by the many additional stories they told me about U-boats skulking around our shores. I had no idea. I was already aware of most of the historical information, but listening to actual interviews of Second World War veterans and hearing the raw emotion in their voices even after all this time was intense. Usually when I write I am surprised by little things, and I love when that happens. For example, in Promises to Keep, I wanted to write a story that stayed in Canada, but it didn’t look promising after all the Acadian ships were sent off to unknown ports. Then I came across the Pembroke, the only ship to remain in Canada after the Expulsion. Then I discovered Charles Belliveau, who was the actual Acadian mast maker and eventual captain of the Pembroke. The dialogue he had with the captive English captain was taken word for word from journals shared online. Those are the moments I find so thrilling when I’m researching, like I’ve found the exact puzzle piece I didn’t even realize I was missing. Q: You have a background in music, but you’ve been writing full-time for more than a decade now. 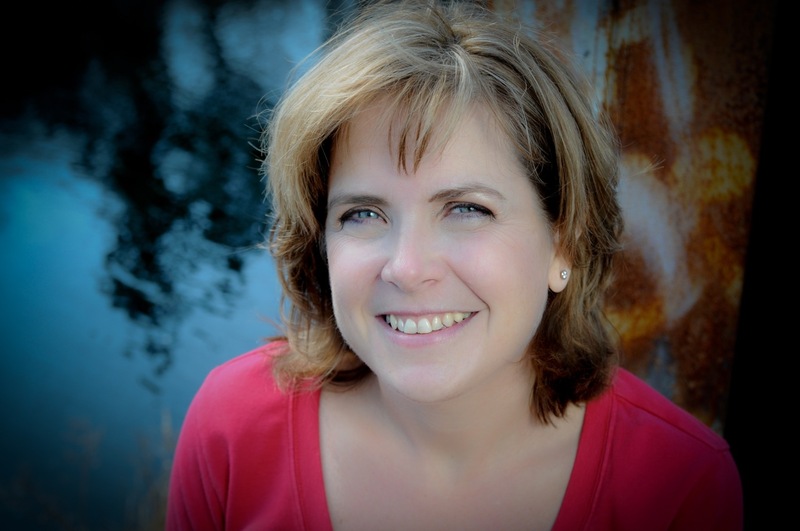 Were you always interested in becoming an author? Or did something in particular spark your interest? A: Until I sat down at my computer for the first time in 2007 and began to play around with words, I never had any interest in being an author. I never even thought about it. I have always loved the magic of beautifully woven words, and it was my love of reading that led to this new career. I didn’t read a lot when I was a stay-at-home mom—I was always cleaning or feeding or trying desperately to sleep!—until my mother handed me a copy of Diana Gabaldon’s Outlander one day and gently suggested it was time for me to escape for a while. I’d never read much historical fiction before that, but I was immediately swallowed up by Gabaldon’s world. I read that huge series seven times and learned something new every time—whether it was about the craft of writing or the reality of history—and the experience was intoxicating. It was after all that reading that I decided I’d see if I could create anything like that myself. I told my husband I was going to try and write a book, and he said, “Okay. See you in a few hours.” When I emerged from the basement, flushed and nervous, he read the pages I handed him and said, “You know, this is pretty good,” and a writer was born. Q: You’ve written several bestsellers now, including Tides of Honour and Promises to Keep. What’s your writing process like? Has it been different for each book? A: I am constantly learning, so while I’d say my process is similar with each book, I’d also have to say it’s evolving. A huge part of that is because I am fortunate to have an amazing editorial team who have the experience I lack and are very generous in sharing. My process starts when a moment or place sparks my curiosity, and I’ll read up on the basics of the era or event. If I’m intrigued enough, and if I can see a story forming around it, I will dig right in. Once I place myself in the time period, I start writing right away, seeing the surroundings from the mind and heart of a character I am just getting to know. I stop writing when I have a question, like What would she be wearing in this time/instance? then I dive into the research. I take notes constantly, and when I am done writing, I will plug in as many details as I can without turning the book into a textbook. That is really important, because the story must be told from the characters’ perspectives, not mine. They don’t know the particulars—or wouldn’t take notice of them—like how many inches deep the snow is or how many buttons are on a coat. It’s up to me to share the information with the reader in a way that it doesn’t interrupt the flow of my characters’ actions and thoughts. When I first started writing, I thought the idea of letting the characters “speak” to the writer was a myth, a fancy way to make the art of writing seem even more magical than it is. But it’s no myth. When I let their voices speak to me, and when I follow their lead, the book will flow without too much effort. Other than typing what I see and hear, my job is to do all the research as soon as it’s required and integrate it into the story, but they know more of what’s going on than I do most of the time. Usually when I run into writer’s block, it’s because I’ve stopped listening. Q: Come from Away, Promises to Keep, and Tides of Honour are all set on Canada’s east coast. Would you say that living in Nova Scotia has inspired your writing? How so? A: Yes. Before, I had written historical adventures set on an entirely different continent, but suddenly I was living in a place where hundred-year-old houses stand along the highway, where statues and museums tell stories (like the Titanic and the Halifax Explosion) that had seemed too removed from real life or simply too far away for me to grab on to before. People here proudly remember the generations past and are more than willing to share the stories. So, yes, Nova Scotia has been very inspiring, and it has also whetted my appetite for Canadian history. Now I am hungry for stories from across the entire country. Canada’s history is exciting but mostly forgotten, its adventures confined for the most part to textbooks that are rarely opened. Why is it that Americans and Europeans are so great at telling their own stories and we generally don’t dwell on ours? My plan is to change that. Q: Can you describe the responses you’ve received from readers of your books? Has anything surprised you? A: No matter how many of my books are sold, I expect I am always going to be surprised when I receive notes from readers. When they connect to the stories and are moved enough that they feel compelled to write to me, that means so much. When Tides of Honour came out, I received an email from a gentleman in his eighties who had “nabbed the book from my wife’s nightstand” and his sweet letter made me cry. He talked about how five members of his family, from grandfather to sister, had participated in the military in various conflicts, and he said Danny’s character and the battle scenes in the book brought it all back to him. He also said he appreciated the care and respect I’d given PTSD, the violence, and the affected family members. Other readers wrote to me about relatives who had experienced the Halifax Explosion, and many shared stories and pictures. With Promises to Keep I have received a number of passionate letters from Acadians who are grateful this story is bringing back their history. Best of all are the notes I receive from younger readers (eighteen years old or so) who say they had no idea Canadian history was so exciting and my books have encouraged them to read more about our great country. Q: Do you have any advice for aspiring writers of historical fiction? A: Someone on Twitter asked for help the other day regarding how to write historical fiction. She wondered how she would know if she’d put too much detail in. I say put it all in on the first draft. Everything you can find. Don’t edit until you’re all done (a rule which is really hard for me to stick to), then read it through. If you are distracted or bored at any point, then your story has just turned into a textbook. That’s how I see it, anyway. To me, the most important rule about writing historical fiction is always to tell the truth. Do not shy away from the ugly truths. Not everything in our history was happy or romantic like we might want, but everything that happened was important to different degrees. If you are writing about something terrible, write it the way it was. Don’t make light of it, but don’t make it gratuitous, either. Your readers are smart. Don’t do everything for them. Let them draw their own images in their minds based on your words. A: I’m super excited about my next novel. For the first time I will be shifting my focus to Canada’s west, and the more I research, the more there is to write about! When you think of Canada, one of the first symbols to come to mind is the steadfast Mountie, right? What do you know about our famous force? I knew nothing, and that has definitely changed. My book will begin on the rapidly changing Prairies, where our hero will join the early Mounties, who were the North-West Mounted Po- lice. We will ride both horseback and the rails with him all the way to the trials and triumphs of the Klondike gold rush, and eventually he will mosey on down to the coal mines of the Crowsnest Pass—where he will experience the little-known Frank Slide. The book after that will most likely be one about the British Home Children which I have already begun to write. Somewhere in the next couple of years I want to research the path my husband’s grandfather took when, at the age of sixteen, he sailed from Poland by himself, came through Pier 21 in Halifax, then rode the train to Saskatchewan at the beginning of the twentieth century with plans to single-handedly clear the tangled bush and establish a farm—with nothing but five dollars in his pack. Oh Canada. So many stories!